From freezing, sub-zero temperatures to dry heat or high humidity, Mother Nature continually tests the limits of building envelopes. The need for durable yet sustainable metal building products is on the rise, and we’re able to meet this demand by offering insulated metal panels for roofs and walls. What Are Insulated Metal Panels? 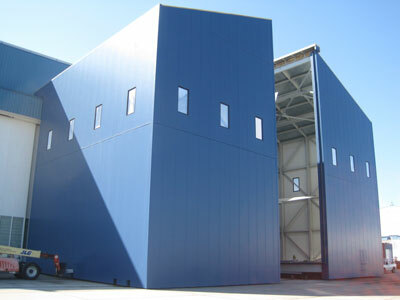 Designed as a creative answer for the most diverse wall and roof applications, insulated metal panels are made up of highly energy efficient, factory-controlled foam insulation sandwiched between a finished metal exterior and an interior face. High performance building envelope: The closed cell polyisocyanurate core provides exceptional thermal performance (minimum R-value=7.7 per inch). Quicker, more efficient construction: Insulated metal panels only require a one-step pass around the building, which results in faster installation time and reduced labor costs. Available in a variety of design options: Choose from various profiles, colors, sizes and finishes, including stainless steel. Available in either horizontal or vertical applications. Long term building performance: Durable metal panels offer reliability with continuous insulation, thermal performance and airtightness. Environmentally sustainable system: Insulated metal panels offer zero ozone depleting potential without the threat of loose fibers in the internal environment. 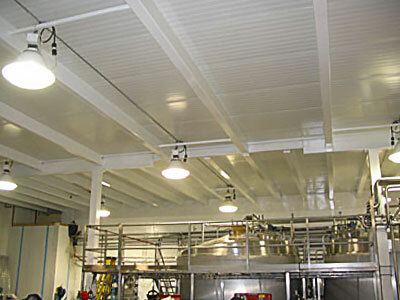 For more information about insulated metal panels, call your Therm-All representative or email info@therm-all.com.